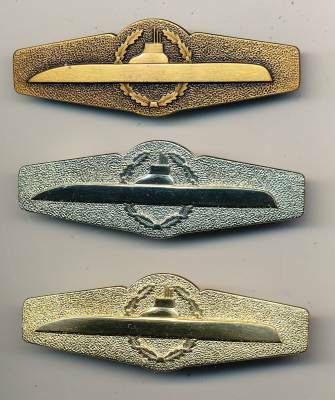 Actually there is only a gold badge for submarine personnell. But the manufacturers produced this badge also in silver and bronze, so these badges do exist. Some of them were sold as rarities for big money on ebay. But the official piece is gold.